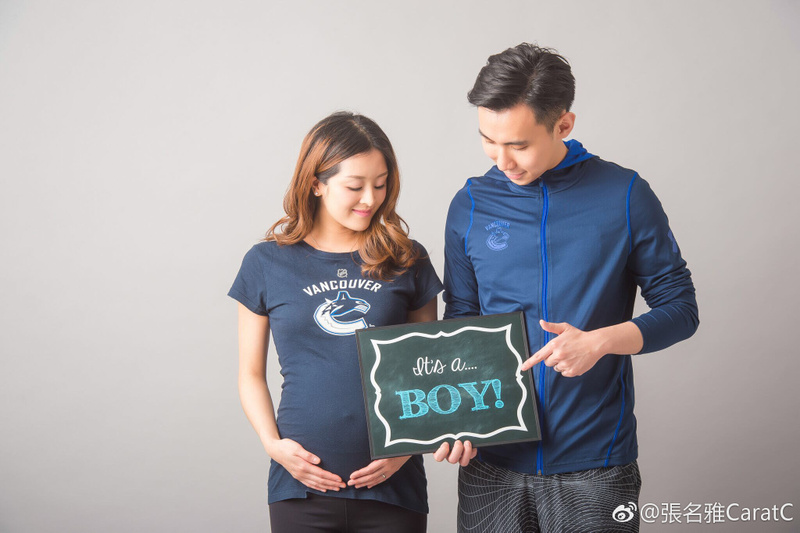 Carat Cheung Shares Cute Pregnancy Photos! Last September, 2012 Miss Hong Kong winner Carat Cheung (張名雅) tied the knot with her lawyer boyfriend, Joe Choy (蔡錦豪). Two months later, the couple announced that they were expecting a baby boy, who will be born sometime this spring. With only two to three months left until she becomes her son, who she calls “Baby Mario”, Carat has decided to commemorate her pregnancy with a maternity photoshoot. 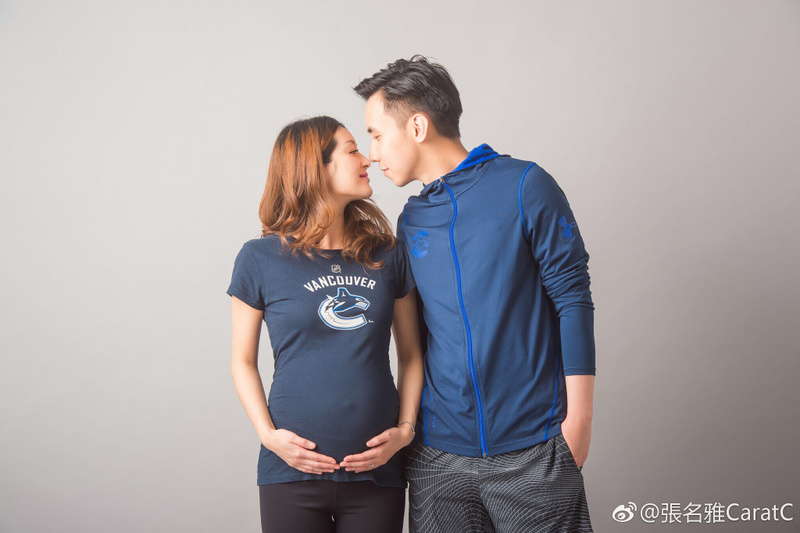 On Monday, the mother-to-be shared a cute photo of her growing belly, with her husband by her side. Both Carat and Joe wore baby bibs. “Having this kid in my belly is such a wonderful feeling! He goes wherever I go, and eats whatever I eat. He hears my voice everyday. As I hold my concert while I shower, he is my audience. I know I will definitely miss this baby bump after giving birth.” Carat said she plans to deliver naturally. Check out Carat’s maternity photoshoot below!